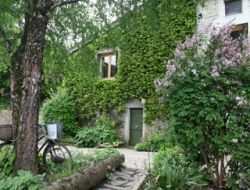 It is in the typical village of Revermont, in the former vine grower house in stones that you will discover this holiday cottage. This holiday cottage for 2 persons is ideal to share moments of sweetness! At the heart of two flowery gardens, the holiday cottage with its puddle in frogs, a charming patio and its fountain give exoticism and freshness! 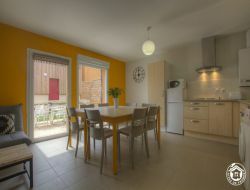 Cottage of 45m² for 4 people, all comfort, with a modern decoration, located in floor, accessible by a large external staircase. The Moulin 1 is the ideal cottage for a family with 2 children. Come spend your holidays in Val de Saône, at the crossroads of Dombes and Beaujolais, Bresse and Burgundy. Holiday cottage for 8 people, located on the left bank of the Val de Saône, at the crossroads of the Dombes and Beaujolais, Bresse and southern Burgundy. 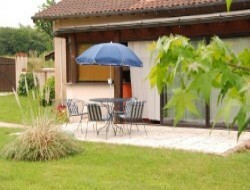 Gîte le Ruisseau 1 is a semi-detached villa with a private terrace and garden furniture. Cottage accessible to people with reduced mobility. 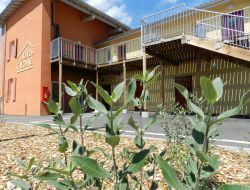 Our structure, brand new, includes 9 cottages in the village of Guéreins, for a total capacity of 42 people. The cottages Le Moulin 1 and Le Moulin 2, located on the floor of the main building, are two similar lodgings. Can accommodate 2 people, they benefit from a modern and colorful decoration. They also have a balcony area with table and chairs to enjoy sunny days. 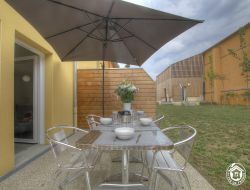 Barbecues, petanque ground, local bike are at disposal, in common with the other gites. 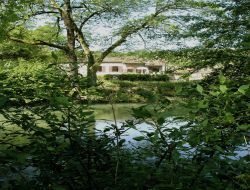 Our cottage is a rustic house, spacious and serene with a beautiful terrace overlooking the river: "Le Suran" that will give your family and friends the opportunity to stroll on the banks or make beautiful walks in the forest. Accommodating from 5 to 8 people, our cottage is very nice offers 3 bedrooms upstairs, a large garden between the river and terrace with a barbecue that will allow you to enjoy sunny meals and pleasant sunbathing. Our structure, brand new, has 9 cottages on the same site, can accommodate up to 42 people, on the left bank of the Val de Saone, at the crossroads of the Dombes and Beaujolais, Bresse and southern Burgundy. 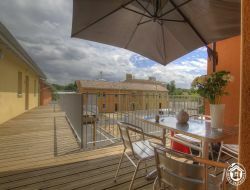 Rental cottages for 6 people in duplex (70m ²), with terraces and barbecue, ideal for sunny eating ! Gites on the left bank of the Val de Saône, at the crossroads of the Dombes and Beaujolais, Bresse and southern Burgundy. 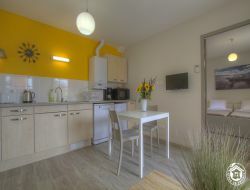 Our cottages have all the comforts for a relaxing and friendly holiday in the Ain. 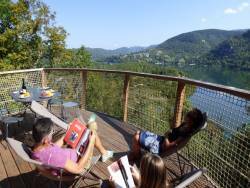 Rent of perched huts with a magnificent and rare panorama for all the lovers of an unusual and protected nature. The domaine des Serrières is perched in 350 m on the mount Bétet, with in its foot, the river of Ain which form an immense meander between cliffs. In overhang of the valley, it offers a remarkable landscape on the island which bears the name of a gobbled up village, the Ile Chambod, the island of 20 ha in which the flora and wildlifes get involved in clear and bluish waters of the buckle of Ain.